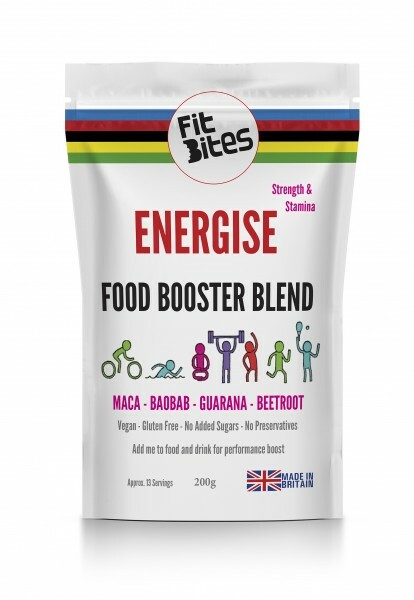 This energising mix of natural fruits and superfoods is designed for active individuals looking to treat their bodies with the best ingredients. 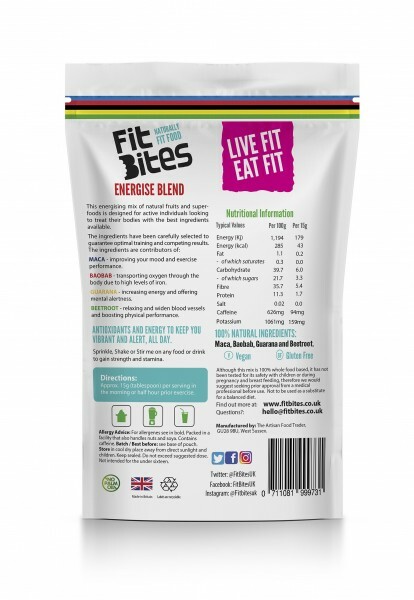 What’s in FitBites Energise Blend? Known to improve your mood and exercise performance. Gram for gram, baobab contains over six times the vitamin C of oranges. It’s packed with the stuff, and is one of the world’s most popular superfruits. Vitamin C is important maintaining a healthy immune system, as well as healthy skin, teeth and bones. 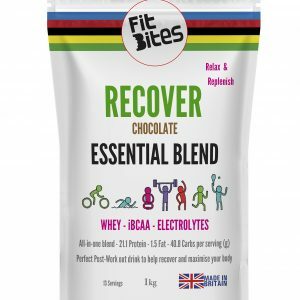 Also helps transport oxygen throuigh the body due to high levels of iron. Most pre-workout supplements work by introducing nitrates into your body to increase blood flow to your muscles and brain, but the sources are often dubious. 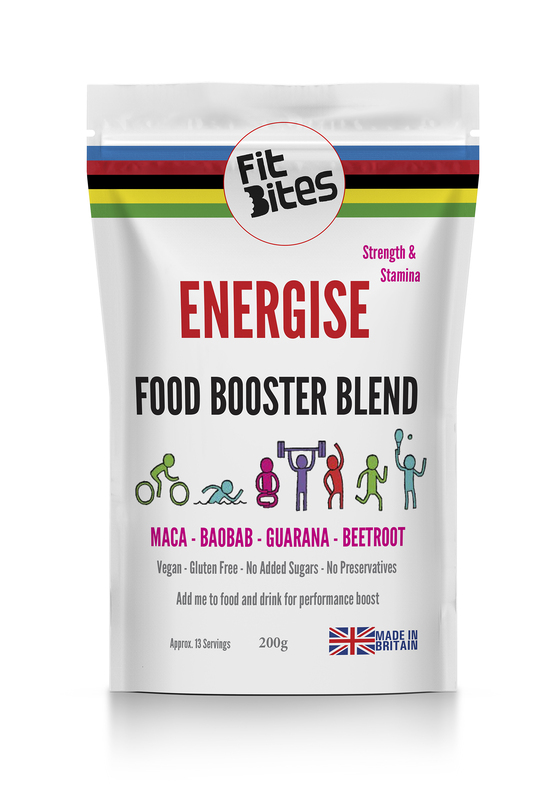 Beetroot is high in energy-giving nitrates, only completely natural ones. Relaxing and widen blood vessels and boosting physical performace. Increases energy and offering mental alertness. A natural energiser to rival caffeine, guarana has been a favourite in South America for centuries. 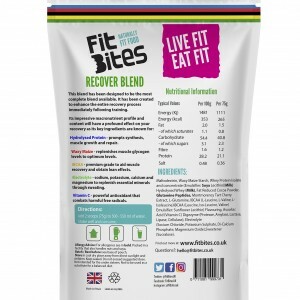 Its high antioxidant profile and oxygen transportation properties make this already outstanding superfood a welcome addition to the FitBites range.